As we leave summer in the rear-view mirror and cruise into Fall, I can’t help but feel honored to lead Michiana’s 6x Best Financial Institution into the Holiday season. This six peat would not be possible without you, our loyal Member-Owners and our devoted Partners (staff). Thank you for your loyalty and for fiercely believing in the Notre Dame Federal Credit Union mission. It is truly a privilege to serve you. 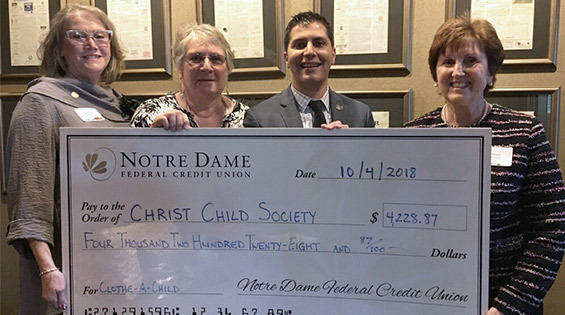 NOTRE DAME, IN – Notre Dame Federal Credit Union announced that it raised over $4,200 for local organization, Christ Child Society. 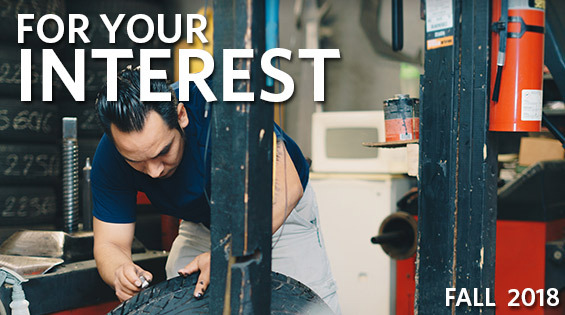 The funds will be donated directly to the organization in support of their ongoing mission. Notre Dame FCU collected $4,228.87 in donations during Christ Child Society’s annual Clothe-a-Child donation drive. 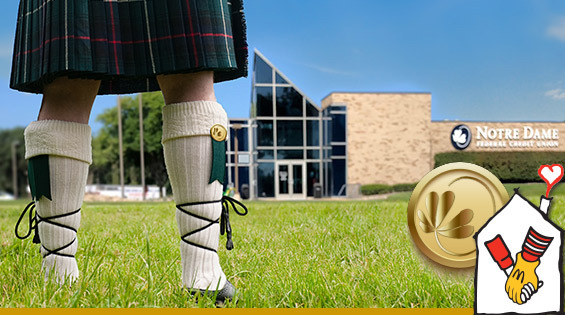 Notre Dame FCU is proud to support Ronald McDonald House Charities of Michiana in their annual Men in Kilts fundraiser. Ultimately this effort will support families who stay at the Ronald McDonald House in Michiana. The Men in Kilts fundraiser pits local community members against each other hoping to be crowned this year's victor of Men in Kilts. NOTRE DAME, Indiana - Notre Dame Federal Credit Union (Notre Dame FCU) anunció hoy que es la primera y única cooperativa de crédito de Indiana a la que se le ha otorgado la prestigiosa designación nacional Juntos Avanzamos por estar comprometida a atender y empoderar a los consumidores inmigrantes e hispanos. Notre Dame, IN – Notre Dame Federal Credit Union (Notre Dame FCU) announced today that it is the first and only Indiana credit union to be awarded the prestigious national Juntos Avanzamos (Together We Advance) designation for its commitment to serving and empowering Hispanic and immigrant consumers.